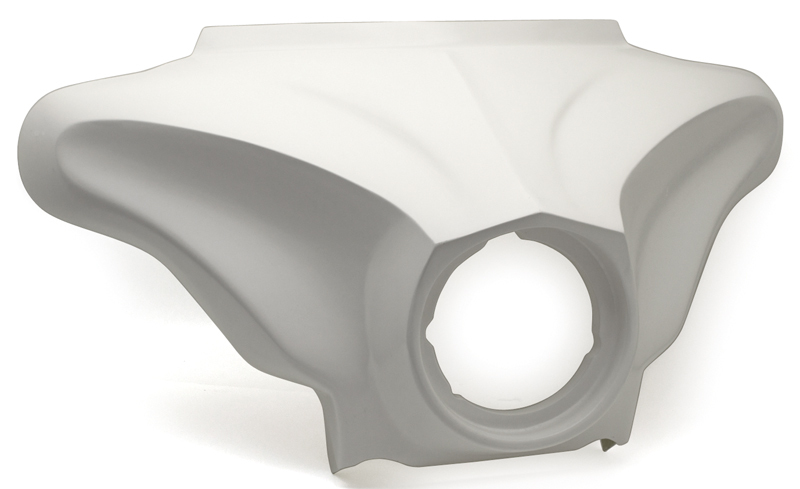 Batwing fairing made from hand layered fiberglass in precision built moulds. Stretched for use with raked triple trees and takes the stock inner fairing. Comes with a white gel coat finish, ready for painter's preparation. Fits 1997 thru 2013 models using OEM style brackets shields. Double G Baggers parts and accessories are available at your Zodiac dealer.